Once you have set up your Online Store, you can start customizing it. There are so many options available to you. This tutorial deals with changing your currency, store language and product options via the "Advanced options" menu from the Online Store Control Panel. Change the currency to the one you'd like to use. The Online Store supports 40 languages. Provided you have enabled all the supported languages, the language that your customers can view your store in see will be automatically set based on their browser settings. This means that your customers will see your store in a language most suitable of all languages enabled by store owner. 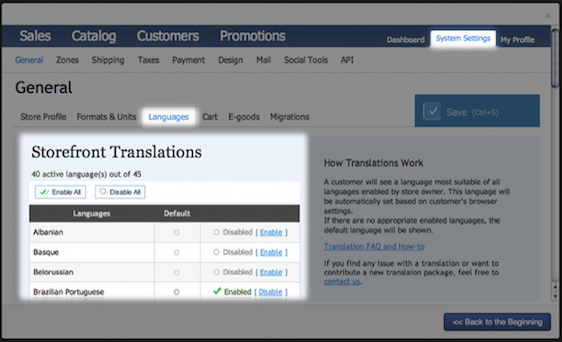 If there are no appropriate enabled languages, the default language will be shown. Select your default language. English is the preset default language. You can also enable or disable languages, if you'd prefer not to support them. To return to the Online Store control panel, click "X" in the top-right corner of the dialog box. One of the most important features of any online store is the ability to offer your customers choice! Whether it's being able to choose their t-shirt size, or selecting what size bag of coffee they'd like to buy, customers appreciate not being forced into buying an item they have no control over. 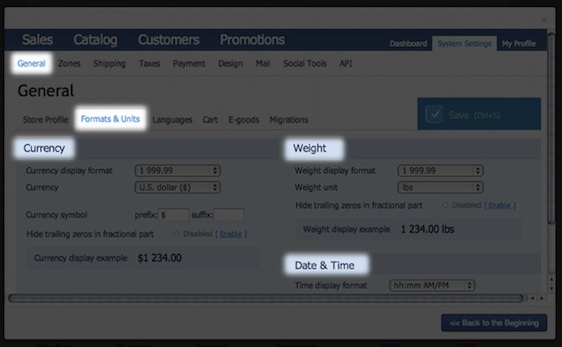 Under your product list, click on the pink "Add/Edit Products+" button. Select the product you'd like to edit. In the Product dialog box, select "Options". Select the way options will be presented to your customers (e.g., a drop-down list), type of option (e.g., 1lb bag) and price difference Click "Save" in the top-right corner. 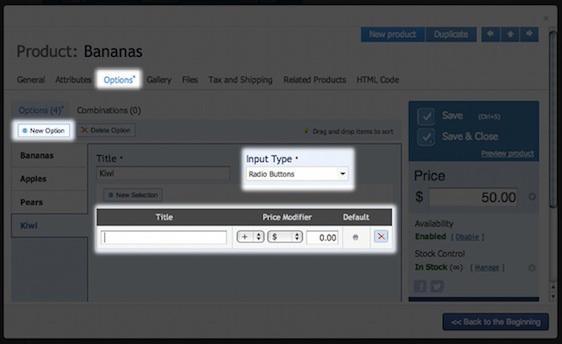 The product options will appear when a customer selects the product and their choices will be displayed in their order.